I cut this out and couldn't resist starting it, as a diversion in the middle of many other projects. This is Red Letter Day with Miss Kate fabrics by Camille Roskelley, who is designing great patterns and fabrics that make me very happy, (see Thimbleblossoms.com.) 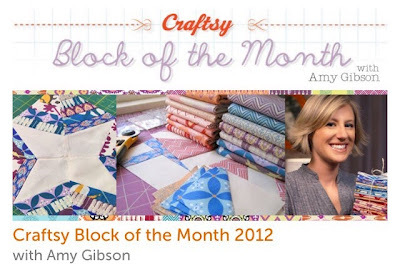 Check out her great classes on Craftsy and her terrific video on youtube on 25 ways to arrange HSTs!! She also works a lot with her mother, and I love that. It makes me think of my mom and how she shared this love of sewing with me, as well as passing on her textile addiction. 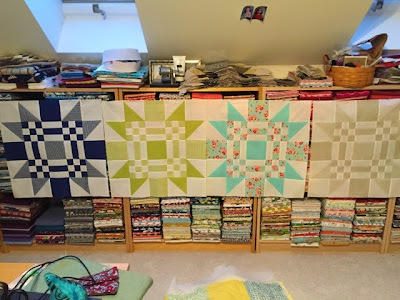 Remember how I put all those bookshelves in my sewing room, and was determined to fit all my quilting fabric in there? Well look at the top of those bookshelves now. It's getting out of control! To be fair, a lot of that stuff isn't fabric. My picture of my mom is hiding behind that old pencil sharpener. I need to find better places for the clutter. This is my Summertime quilt, which is developing nicely. It's a baby gift for Cali, Lisa's granddaughter. Yea for Cali!! Although I admit the piecing part isn't anything genius, I designed it to celebrate a bundle of fat eighths of Summertime that I won. 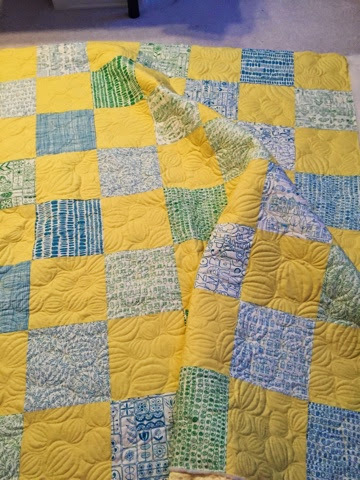 I just put it on the frame and completely quilted it today. 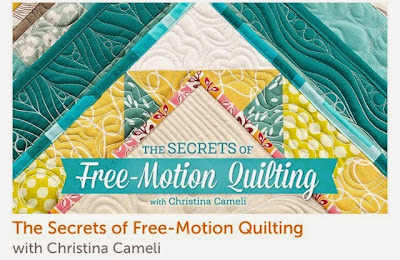 Those are beach balls, inspired by yet another craftsy class, this one The Secrets of Free Motion Quilting by Christina Cameli. 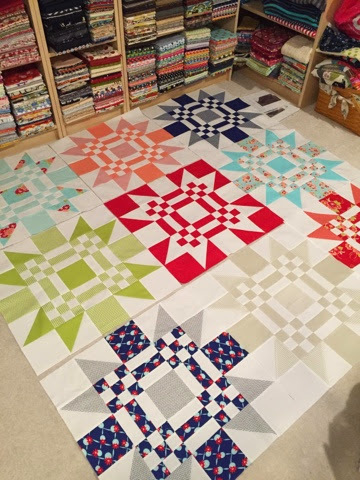 Here's my Day Break quilt, which is coming along slowly. 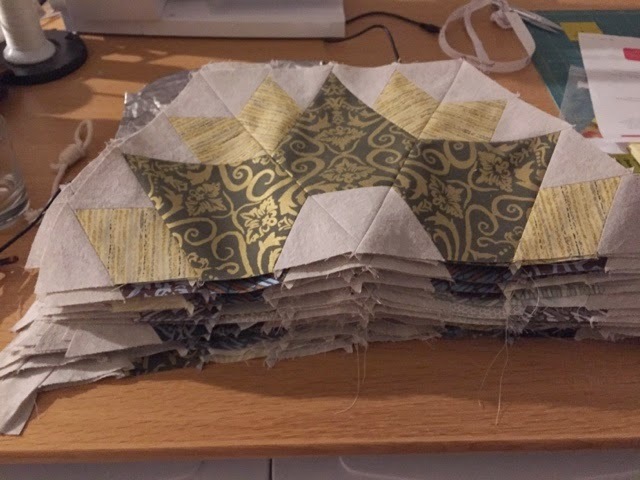 Each pair of half-hexagons takes somewhere between 40-50 minutes, and I am enjoying the piecing process as a little bit of relaxing toil, but man, there are a lot of them!!! 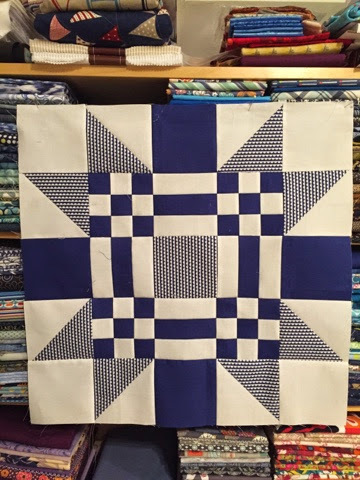 This is what I was taking a break from when I cut out that happy little Red Letter Day quilt, but it turns out it's not so little at all, but certainly very happy. Have I told you yet? I'm addicted to Craftsy.com!!! I have 35 classes already, and I'm learning so much from great teachers. 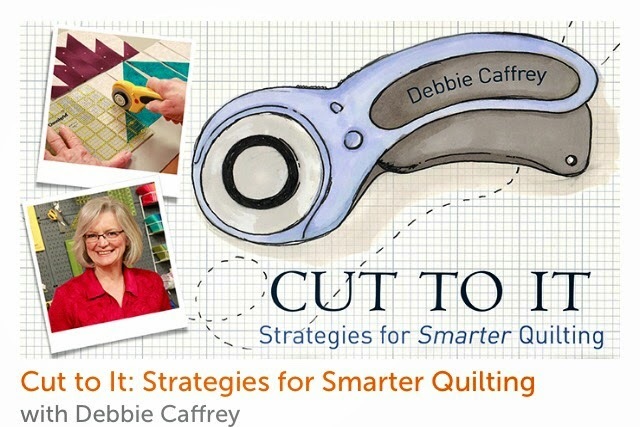 Some of those classes are for the girls, and others are for the future, like the Digital Photography class, but the rotary cutting class by Debbie Caffrey has already saved me quite a bit of time along the way with my rotary cutting. I'll use Debbie Caffrey's tips to make a Delectable Mountain quilt out of a layer cake, one of these days. I couldn't help but think of Jane while watching this. 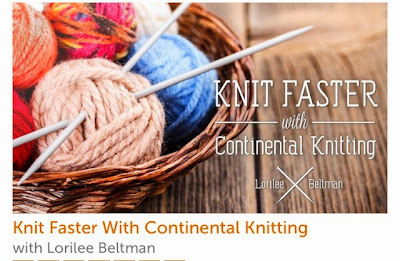 I want to increase my Continental Knitting comfort and speed up my knitting. This is a great class, and it seemed to be made expressly for me. This is a crazy, artsy, no-holds-barred class in stacking a bunch of fabrics, sewing a pattern onto them, and slashing pieces away to reveal the layers. It's a lot of fun, and I can't wait to get started using some interesting fabrics and making wall-hangings. 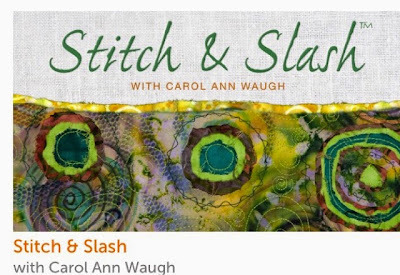 I especially like the part about embellishing after the slashing is done, and I am inspired to take Carol's other class, called Stupendous Stitches. I wonder if I should wait until I retire and buy an embroidery, wider machine first, but I'm really loving my Bernina QE440. 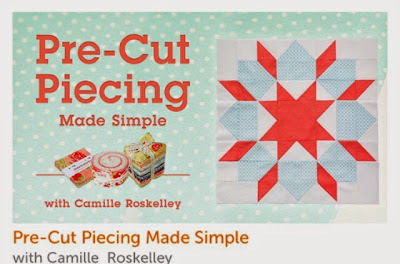 I like Camille Roskelley's class, though I don't think I learned very much from it. It's cute, and she's adorable, and I'm going to look at it again another time.